Use this calendar for availability & booking with Andy as Photo Tour Brugge. If booking online is closed, you’re still welcome to contact us to see what’s possible..
How to book a photo tour online? Use the calendar (here) to select a photo tour, especially if you want to book an open photo tour. As you’d expect, choose a date and the tour that interests you to join. You’ll then see details of the tour, prices, and a button to register or details for a private tour. To book multiple open tours: Simply register for a tour, return to the calendar, select and register for another tour and repeat as needed. When you’re done, click ‘View Cart’ on the booking page to finish your registration. You can book a private photo tour be clicking here to contact us and get in touch. Please Note: You are welcome to check for tours without booking, but reservation is highly recommended. Open Tour or Private Tour? We offer 2 booking options for our photo tours in Brugge: Open photo tours and Private photo tours. 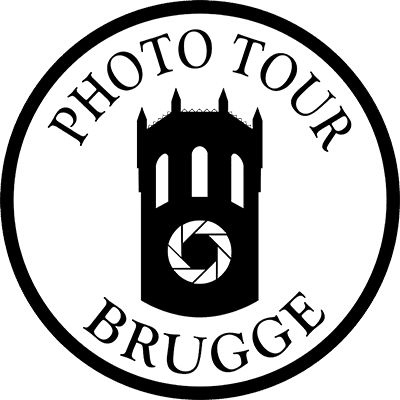 Open group tours are offer you a fun & social way to connect with Brugge and some new photo friends. 2hr open tour based on on tour chosen. Fixed start time from the meeting point. Max. 5 photographers per open tour. Brugge map & tips & photo goodies. -20% off Andy’s Being in Brugge photo book. +1 “non camera friend” joins for free (?). Private tours offer a fully focused view of Brugge & our time together with the cameras. (more info). 3hr private tour based on tour chosen or as you prefer. Flexible start: usual time or when it suits you. Flexible meet point: Our usual spot or wherever. Full choice/balance of learning vs. locations. Max. 3 photographers of your choice. +60€ per extra guest. Deluxe Brugge map (printed) & tips & photo goodies. Free softcover copy of Andy’s “Being in Brugge” book. All photo tours (except group tours) include a +1 “non camera” friend that may join you at no cost, but take no photos. As part of competitive pricing for open tours, they’re non-refundable except at our discretion. Reschedule a tour for another date (must notify at least 3 hours before your tour start time). Give the tour booking to someone else at no extra charge, as long as you notify us first. Request a 50% refund up to 2 days before your tour start time. Photo Tours leave on the advertised start time. Please be on time or even 5 minutes early. A 75€ non-refundable deposit (per booked tour) is required to secure your private photo tour booking. If you decide to pay on the day and miss our agreed appointment, please note you still owe the deposit by later payment (paypal or bank transfer). You may reschedule a private photo tour (on guide availability) at no extra charge up to 4 hours before a tour starts. Where is "Essential Brugge" option (October to April) ? From October to April in Brugge, there are a few factors that made us decide to “close” the Essential Brugge option for open tours. The light is shorter, especially in this Northern and flat corner of Europe. Closing Essential Brugge allows moving (hugely popular) Hidden Brugge to that timeslot and making the most of that routes’ offerings. It’s chilly if not flat out cold, brrrr! Ok, maybe not my native Canada cold… But you feel it during winter when the sun goes down, wouldn’t want you freezing as you get to the windmills. Still possible for booking as a private tour. I’d never not offer you an option if determined to join Essential Brugge, so when unavailable as an open tour you still ALWAYS the option of a private tour.